This view looks north at a southbound B2-class trolley bus. 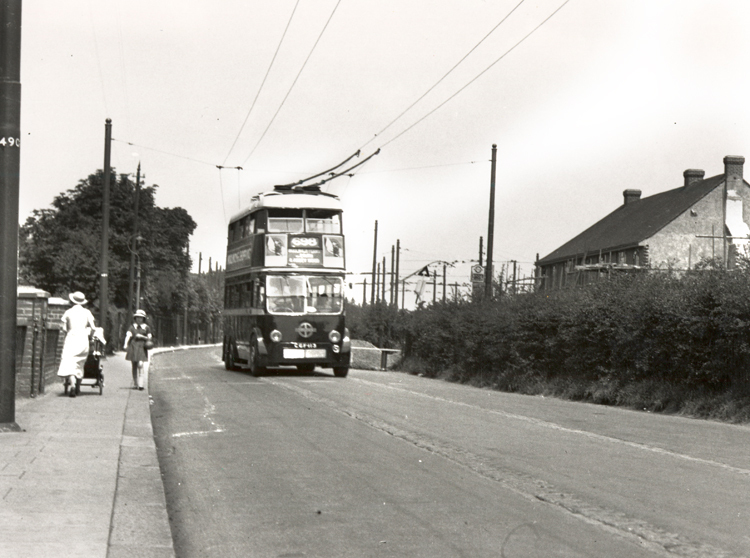 Trams provided the crucial transport element in the development of Bexleyheath, providing access to jobs in the industrial towns of Woolwich and Erith. Trams came in 1905 and many were replaced by trolley buses in 1935. The location of the picture is uncertain.